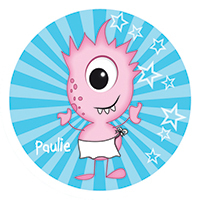 Hi my name is Paulie. I am age 12, I love Italian food and my favourite ingredient is pasta. There is so much you can do with it. You can eat it hot or cold, at lunch or dinner and it goes with almost everything. You can even make pudding with it!! My ultimate kitchen tool is a slotted spoon. I use it everyday when cooking, to carefully lower my pasta into the boiling water. I hope you enjoy my book – Cook Pasta with Paulie. 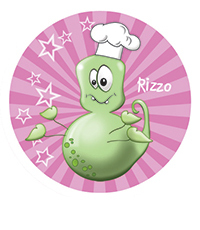 Hi my name is Rizzo. I am age 12 and my favourite food is rice. Those tiny grains are just so delicious. Whether you eat rice hot or cold it is great any day of the week. I love long grain, basmati, wild rice, risotto rice and Thai Jasmine to name but a few and when I want a pudding I use short grain pudding rice. 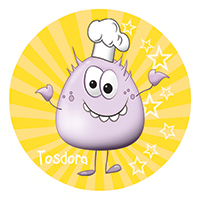 Hi my name is Tosdora. I am age 9, the youngest of The Kookey Chefs. My favourite food is toast! I just can’t get enough of it and it is so simple to make. First of all you have to choose what bread you like then whether you are going to fill the toast to make a toasted sandwich or just top it with something scrummy – sweet or savoury! 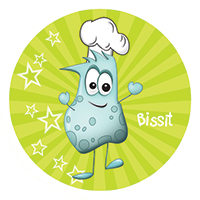 Hi my name is Bissit. I am age 10 and I love baking. Best of all I love to cook all sorts of biscuits from shortbread to chocolate chip cookies. There is always a reason to enjoy a biscuit, whether it is an after school treat, a present for your parents or something to share with your best friend. My ultimate kitchen tool has to be my cookie cutters. I have a massive box full to the brim with different shaped cutters from animals to handbags. I hope you enjoy my new book – Bake Biscuits with Bissit. Hi my name is Chuck. I am age 13 and my favourite food is chicken. I love it roasted, grilled, baked or even on the BBQ. 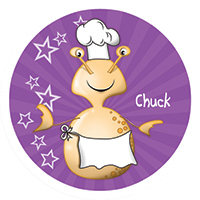 I just tested my new recipe Spicy Drummers and Coleslaw for my book Cook Chicken with Chuck.